Digital Heritage Age (@DH_Age) is a collective of cultural heritage professionals working in the area of digital heritage in Ireland. We work with cultural heritage institutes and local community groups to promote heritage within the digital sphere. Our core aim is to promote best practice through community focused training initiatives and innovative digital heritage projects such as the Sheela-na-Gig3D project (@3DSheela) and the Digital Counties Initiative. DH_Age began as an idea between the core founders, who saw a growing interest in digital heritage, particularly photogrammetry and laser scanning. Gary Dempsey and Orla-Peach Power met during digital training on the Roscommon3D project. Orla-Peach and Gary have remained at the core of DH_Age, working with other talented heritage professionals and organisations such as the Institute of Archaeologists Ireland, Achill Archaeological Field School and NUIGalway Archaeology Department to promote and develop digital heritage projects. Orla-Peach Power and Gary Dempsey demonstrating photogrammetry at the Hunt Museum, Limerick. DH_Age’s projects are usually born from the question: ‘why is no one doing this?’. Working with other heritage professionals and museums in Ireland has allowed us to challenge our own skills and attempt more ambitious projects. The philosophy behind DH_Age is built on the old Irish practice of Meitheal, the coming together of neighbours as a community to help ease larger workloads. We wanted to share what we have learned, and in turn, teach each other new skills in the promotion of best practices in digital heritage projects, be they amateur or professional. In this sense the DH_Age team is ever expanding as we develop more projects and build a wider network of digital heritage practitioners in Ireland. In order to fulfill this mission statement, Orla-Peach and Gary developed a number of projects which focus on sharing skills and methods with community groups and local museums in order to encourage local people to engage in the collection of local cultural heritage which may otherwise go unrecorded. 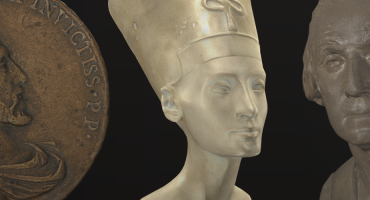 There has been a significant growth in digital heritage over the past decade, and particularly in the ability of 3D recording techniques to reveal ‘hidden features’ on carved heritage objects. Our experience in Ireland has been that while museums see the benefits of creating digital records of their collections, be it for archival records or public dissemination, they have been slow to engage with this area fully. Nevertheless, Ireland is home to a number of organisations and projects leading the way in digital heritage recording. The Discovery Programme’s 3D Icons Project is one of the inspirations behind the formation of DH_Age. 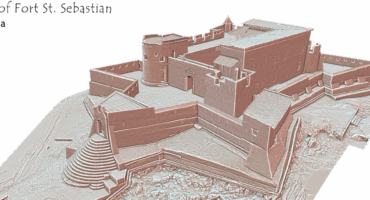 As leaders in the recording and production of detailed digital heritage models, their open access policy has allowed thousands of people to engage with the national heritage of Ireland through the Sketchfab platform. One of the issues with the digital heritage field in Ireland at the moment is the lack of awareness between groups. While we see a number of well produced projects, there is a lack of communication or promotion of projects. This can lead to duplications of work, or a lack of public knowledge as to what projects are being undertaken and for what purposes. A number of students of digital humanities and archaeology are engaged in the creation of 3D models of heritage objects. This is often carried out within a void, and separate from the communities who see a sense of place in the heritage objects recorded. DH_Age seeks to approach digital heritage from the position of the community first. It was this open access to heritage which first inspired Gary to learn photogrammetry and develop the Roscommon Cross Slab Project, which evolved into Roscommon3D. The Roscommon3D project has allowed us to develop an ever growing collection of detailed 3D models of important cultural heritage artifacts from Co. Roscommon. Initially the project aimed to create 3D models of cross slabs, an early form of Christian art of which there are some unique examples in the County. This 3D recording project was the first of its kind in Ireland to include a community training element. During the project several new artifacts came to light as a direct result of including local communities. This project further facilitated a collaboration with the National Museum of Ireland in order to reconstruct the fractured Fuerty Cross Slab, as portions of this stone were removed for care to this national institution, while the main portion remained in situ. One of the most remarkable discoveries from the project was a largely faded stone sculpture at Roscommon Abbey, which was revealed to have a large carving of a cat-like figure on its face. This stone had been placed in a position which encouraged weathering and, if not for the insistence of Frank Scott, a local heritage guide, the stone may never have been recorded. Working with local heritage groups has allowed DH_Age to discover several important heritage objects in Co. Roscommon. Building on the local knowledge of archaeological sites, and encouraging the development of digital recording projects inspired participants to look at heritage sites in a new light. Photogrammetry reveals the topography of recorded objects, allowing us to see beneath the lichen growth and weathering of old stone carvings to reveal the hidden features beneath. Sculptured Stone – Roscommon Abbey, before and after recording. 3D is allowing DH_Age to create online virtual museums of lesser known sites and artifacts which helps us to generate a local pride in cultural heritage, and hopefully promote tourism for Counties such as Roscommon. The Roscommon3D project has continued beyond its initial scope and as we have learned, the quality of 3D models has models and textures has improved. While the ultimate goal will be to reprocess the digital models and improve their presentation on Sketchfab, we will also continue to display older versions as a learning tool for future projects. Orla Power Scanning a Sheela-na-Gig from Athlone Castle, museum Co. Westmeath. The Digital Counties Initiative is an overarching project at the core of DH_Age. Through our work with various community groups we saw the potential to create locally curated digital collections of heritage objects. The seeds of the project were sown with the Roscommon3D project, which led to requests to run similar community training and digital recording projects in other Counties. The Galway3D project began as a collaborative community training project between Galway Museum, Galway County Heritage Officer, and the National Museum of Ireland (Country Life). The project did not develop as hoped and DH_Age came to an understanding that there needed to be a support network for community groups who wish to continue engaging with digital projects. Currently we are trialing a number of formats with different community groups and museums who have agreed to act as project curators once the initial training programmes are completed. To date, these project include the Re-launch of Galway3D, working with the Community Archaeology Officer, and the city museum on two flagship projects. The Galway3D project is being developed as part of the education and outreach programme of the Galway City Museum. The idea behind the project is to teach visitors the importance of museum collections and the value of replicas for handling and education. 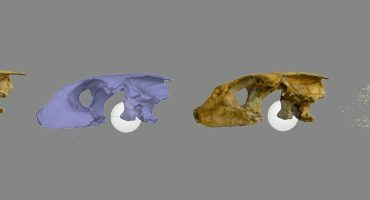 Initial work began on this project in the summer of 2018 and the first results of the project can be viewed on the Galway3D Collections page. Limerick3D, coordinated in partnership with the Hunt Museum education department, will invite local community groups into the museum to help digitize the museum collection. The project is funded by the Heritage Council, and Limerick Co. Council and will be the first dedicated digital heritage project of an Irish museum collection. The goal of these pilot projects is to train community groups and museum professionals in photogrammetry, while encouraging them to build their own digital museum collection. Both projects will launch with a dedicated collection of artifacts, which will be recorded during the training phase, and through continued support encourage local groups to develop their own projects. The work that DH_Age undertakes combines both photogrammetric and laser scanning workflows. While photogrammetry is the standard method applied to a range of objects and monuments recorded within the Irish archaeological context, laser scanning is reserved for instances where it has been formally requested, or for monuments that might require a specialised workflow. Stone objects, for example, that may be located in environments that might restrict proper coverage using standard photography would lend themselves to a laser scanning workflow as the light is capable of better coverage. Agisoft Photoscan is the primary software DH_Age uses for training projects We have found that this is the most accessible tool when working with community groups and is also the most financially accessible for students and research institutions. Agisoft offers a simple step by step workflow, that allows users to edit their 3D project at each step, cleaning up unwanted features. Generally speaking we do not have a great deal of time to work with community groups, with a general time frame of three or four days training. The majority of this time is spent teaching groups to take photographs which can be used for photogrammetry. We have found that groups generally get a better understanding of how their photographs are being converted into 3d models, and are able to see where they may need to improve their photographic process when using Agisoft. In recent months we have begun to look at 3D Zephyr as an alternative for training with community groups. The free tier from this software allows user to create 3D models with a maximum of 50 images. While the limited photo number can be restrictive when dealing with larger objects, it gives groups an unlimited amount of time to practice and become proficient with the process of photogrammetry. Over the years we have learned a number of tricks from other professionals working in the digital sphere. While DH_Age generally do not retopologize 3D models, as we want to display the finer details of carved objects, we have looked at baking Ambient Occlusion textures onto our models to create a clear picture of the surface detail of carved heritage objects. The general process for this is to create a high-res texture of 8192 in Agisoft and import the 3D model into Mudbox, to build out an AO map. This allows us to get a number of detailed black and white images which can be used as a base texture to show off detailed carvings. At times when Mudbox has not been available, and in order to experiment with other software we have used XNormals to achieve the same goals. DH_Age are always looking for a challenging object to record. Practicing photogrammetry and challenging ourselves is very important. These challenges can range from the size of a subject to the difficulty accessing an object due to institutional obstructions. Each project brings its own set of challenges and learning experiences to DH_Age. Anybody who has worked recording and surveying archaeological monuments and artefacts knows that there is considerable variability in the collection of data. Every subject poses a different set of challenges that can not always be anticipated, and that require on-the-spot thinking and problem solving. This is why we have always found it important to practice what we do and to refine our skillsets by engaging in passion projects whenever we can. Often selecting sites or objects that will come with their own set of challenges, we have found that approaching our recording workflows in this manner has helped us to refine our own abilities while allowing us to present advice gained through experience to people involved in our community projects and photogrammetry workshops. Orla-Peach: It would be remiss of me not to acknowledge the quality of the work that is being undertaken at home in Ireland by institutions like The Discovery Programme, but on a personal level the 3D models I am most interested in are those that have engaged the public in the archaeological process. I think the work undertaken by Must Farm in that regard was second to none. It really brought the public behind the scenes of a typical archaeological excavation and placed the environmental material centre stage. I began my career as an archaeobotanist so seeing waterlogged organic remains taking a central role in outreach and education for me was uplifting. It showed how complex the excavation process can be and how interdisciplinary our work is when it comes to understanding the interactions of past peoples with the surrounding landscape. These models were not simply created to be archived on a digital platform, they formed much of the project’s nuanced approach to data sharing, highlighting the potential for 3D which has been greatly facilitated by Sketchfab’s utility. Gary: There are so many great groups working in digital heritage at the moment. As Orla noted above, The Discovery Programme are to be commended on their work. I have always had an appreciation for the projects who use their 3D scanning as a method of teaching the wider community about a site or project. Dr. Eve Cambell of the Achill Field School in Co. Mayo began using photogrammetry with her Field School students to record excavated sites throughout their excavation season. These permanent records of excavation, which by its nature is a destructive scientific process, allow future students to examine the wider context of archaeological monuments excavated by the field school over the years, while also allowing for detailed annotation of the sites for use in public education. Sketchfab allows groups to fully engage with the community through the presentation of visual interactive models. This form of public engagement is important for archaeology, which can at times seem closed off to the public, who might only hear about the finds of an excavation if there is something of national significance. The ability to share 3D models of any excavation allows for locally important sites to build a sense of place and pride for the local community.